Ultra cold atomic physics is a field of quantum mechanics. It deals with the observation and experimentation of atoms that are brought down to a temperature close to absolute zero. To cool down these atoms, scientist uses two techiques, laser cooling and evaporative cooling. Atoms in an optical or magnetic trap are subjected to the cooling process and the hotter atoms are ejected from the trap leaving in the ultra cooled atoms. 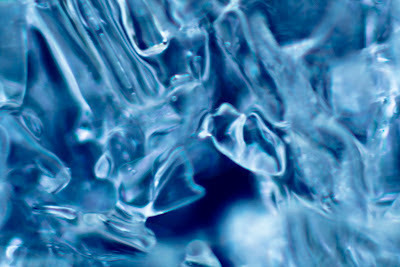 Since it is impossible to lower the temperature of an object to absolute zero (as stated in the 3rd law of thermodynamics), atoms are cooled down as close to absolute zero as possible (1 nanokelvin). In 2003, MIT Researchers achieved the lowest temperature which is .45 nK (nano kelvin) or 4.5 x 10-10 K or 0.00000000045 K.
A fundamental principle of cold atom physics is the Bose-Einstein Condensate. This is a property of ultra cold atoms where they merge together and form a new form of matter. The underlying principle here is that when subject to ultra low temperatures, atom which behaves as particles, will start to manifest more wave-like properties. Ultimately, all other surrounding atoms will start to vibrate at the same frequency or have the same wavelength, forming one single mass - the Bose-Einstein Condensate. Cold atom physicsand quantum mechanics have lots to offer in real world applications. Mag-Lev (Magnetic levitation) trains, quantum computers, and even Magnetic Resonance Imaging (MRI) use its basic principles. An international team of scientists is rewriting a page from the quantum physics rulebook using a University of Florida laboratory once dubbed the coldest spot in the universe. Much of what we know about quantum mechanics is theoretical and tested via computer modeling because quantum systems, like electrons whizzing around the nucleus of an atom, are difficult to pin down for observation. One can, however, slow particles down and catch them in the quantum act by subjecting them to extremely cold temperatures. New research, published in the Sept. 20 edition of the journal Nature, describes how this freeze-frame approach was recently used to overturn an accepted rule of thumb in quantum theory. "We are in the age of quantum mechanics," said Neil Sullivan, a UF physics professor and director of the National High Magnetic Field Laboratory High B/T Facility on the UF campus -- home of the Microkelvin lab where experiments can be conducted in near-absolute zero temperatures. "If you've had an MRI, you have made use of a quantum technology." The magnet that powers an MRI scanner is a superconducting coil transformed into a quantum state by very cold liquid helium. Inside the coil, electric current flows friction free. Quantum magnets and other strange, almost otherworldly occurrences in quantum mechanics could inspire the next big breakthroughs in computing, alternative energy and transportation technologies such as magnetic levitating trains, Sullivan said. But innovation cannot proceed without a proper set of guidelines to help engineers navigate the quantum road. That's where the Microkelvin lab comes in. It is one of the few facilities in the world equipped to deliver the extremely cold temperatures needed to slow what Sullivan calls the "higgledy-piggledy" world of quantum systems to a manageable pace where it can be observed and manipulated. "Room temperature is approximately 300 kelvin," Sullivan said. "Liquid hydrogen pumped into a rocket at the Kennedy Space Center is at 20 kelvin." Physicists need to cool things down to 1 millikelvin, one thousandth of a kelvin above absolute zero, or -459.67 degrees Fahrenheit, to bring matter into a different realm where quantum properties can be explored. One fundamental state of quantum mechanics that scientists are keen to understand more fully is a fragile, ephemeral phase of matter called a Bose-Einstein Condensate. In this state, individual particles that make up a material begin to act as a single coherent unit. It's a tricky condition to induce in a laboratory setting, but one that researchers need to explore if technology is ever to fully exploit the properties of the quantum world. Two theorists, Tommaso Roscilde at the University of Lyon, France, and Rong Yu from Rice University in Houston, developed the underlying ideas for the study and asked a colleague, Armando Paduan-Filho from the University of Sao Paulo in Brazil, to engineer the crystalline sample used in the experiment. "Our measurements definitively tested an important prediction about a particular behavior in a Bose-Einstein Condensate," said Vivien Zapf, a staff scientist at the National High Magnetic Field Laboratory at Los Alamos and a driving force behind the international collaboration. The experiment monitored the atomic spin of subatomic particles called bosons in the crystal to see when the transition to Bose-Einstein Condensate was achieved, and then further cooled the sample to document the exact point where the condensate properties decayed. They observed the anticipated phenomenon when they took the sample down to 1 millikelvin. The crystal used in the experiment had been doped with impurities in an effort to create more of a real world scenario, Zapf said. "It's nice to know what happens in pure samples, but the real world, is messy and we need to know what the quantum rules are in those situations." Having performed a series of simulations in advance, they knew that the experiment would require them to generate temperatures down to 1 millikelvin. "You have to go to the Microkelvin Laboratory at UF for that," she said. The lab is housed within the National High Magnetic Field Laboratory High B/T Facility at UF, funded by the National Science Foundation. Other laboratories can get to the extreme temperature required, but none of them can sustain it long enough to collect all of the data needed for the experiment. "It took six months to get the readings," said Liang Yin, an assistant scientist in the UF physics department who operated the equipment in the Microkelvin lab. "Because the magnetic field we used to control the wave intensity in the sample also heats it up. You have to adjust it very slowly." Their findings literally rewrote the rule for predicting the conditions under which the transition would occur between the two quantum states. "All the world should be watching what happens as we uncover properties of systems at these extremely low temperatures," Sullivan said. "A superconducting wire is superconducting because of this Bose-Einstein Condensation concept. If we are ever to capitalize on it for quantum computing or magnetic levitation for trains, we have to thoroughly understand it."